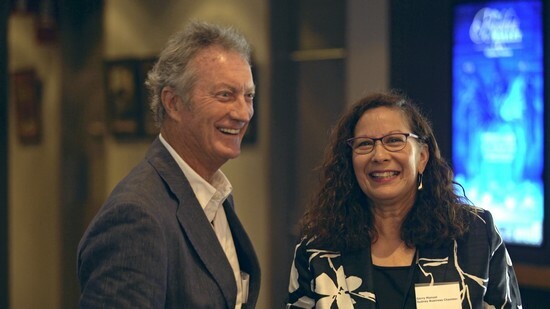 Economic and financial advisors, Deloitte Australia recently completed the Building Western Sydney’s Cultural Arts Economy report, a collaborative effort between the Sydney Business Chamber and Regional River Cities of Parramatta, Penrith and Liverpool. 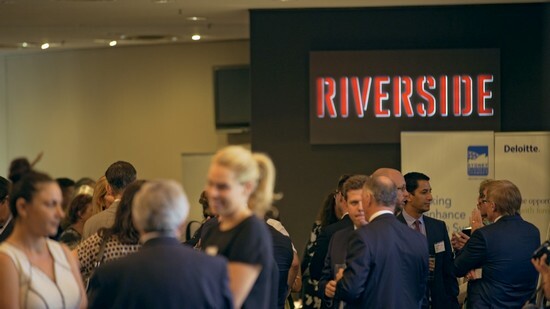 The report was launched on February 29 at Parramatta Riverside Theatres to an eager audience; the guest list well-endowed by those with the runs on the board. 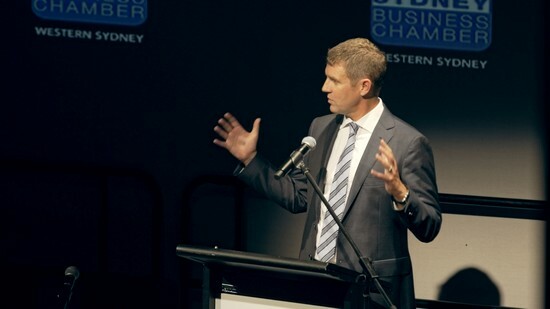 Premier Mike Baird, Deputy Premier and Arts Minister Troy Grant, and Western Sydney Business Chamber Director David Borger handled the formal part of the launch which began with Borger’s impassioned plea for ‘Western Sydney’s access to arts equity’, stating this should be reflected in the State’s arts spend. “You can’t just do buildings; you also have to do programs” said Borger – the ‘West’ deserves to have interesting places, places where communities gel, where children can be inspired and where contemporary culture can bloom – statements that were met with clear audience approval and applause. Premier Baird quoting Picasso, reminded us that “The arts remove the dust from our soul”, and spoke convincingly of his passion for, belief in, and understanding of ‘cultural value’. He asked that the commissioned report be seen as a huge step in gathering research about art and culture as significant contributors to economic prosperity and job creation. Then, putting the money where it matters, he formally announced that the Museum of Applied Arts & Sciences (aka the Powerhouse) would move to Parramatta, as demonstration of his Government’s commitment to Western Sydney. 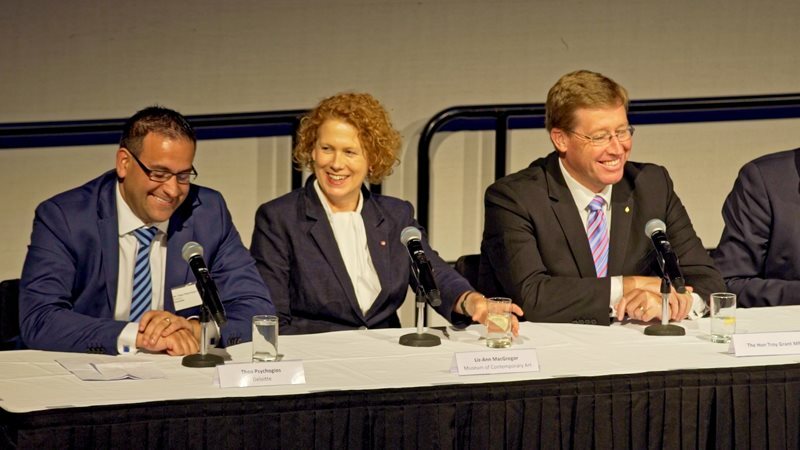 Deputy Premier and Arts Minister Troy Grant also spoke enthusiastically about Western Sydney’s cultural profile and the contribution made by its artists across art forms. His address announced much anticipated new funding and the launch of Create in NSW, the cultural policy framework which will support the development of arts excellence and culture over the next 10 years. Western Sydney ... is a place of extremes, of big experiences, full of young people and suburban richness – the future face of Australia. Familiar personalities like Rose Hiscock, Liz-Ann McGregor, and artist David Capra panelled up to discuss Western Sydney’s cultural profile and future creative opportunities. 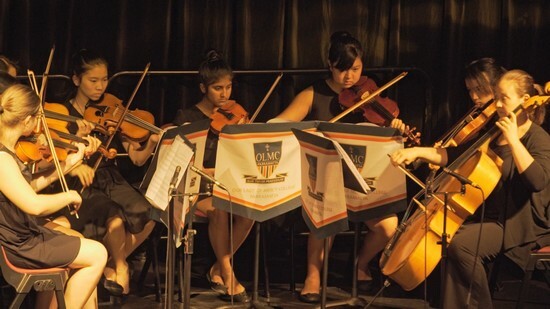 Important points were made and some of the successes of recent initiatives like the C3 West reiterated, but in general there was widespread endorsement of the plan to boost arts funding to the west. After the chairs were put away and everyone had gone home, one resounding comment made later by Lisa Havilah Director of Carriageworks – and importantly an ex-Director of Campbelltown Arts Centre – remains. Bring it on we say. Fifteen big ideas for Sydney – a collection of voices collated by the Sydney Morning Herald.